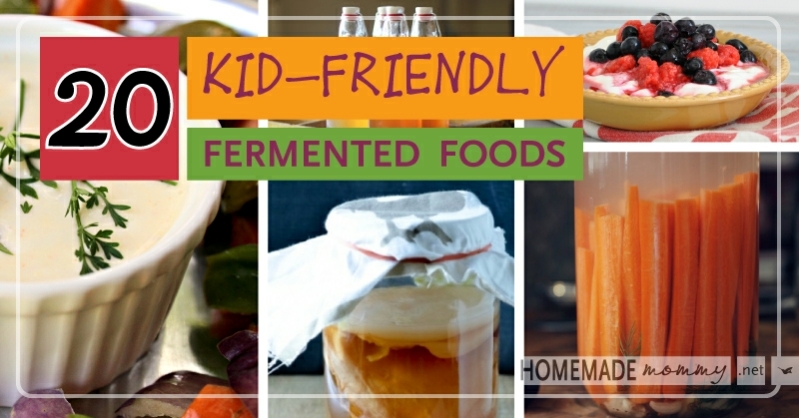 We all love fermented foods! Sushi would be unthinkable without dipping it in the juice that oozes from fermenting soy beans. On a hot day we love to gulp down some fermented wheat or barley. After a long and satisfying meal where we have enjoyed some fermented grapes we finish the evening with a caffeine drink made from fermented berries. Fermentation is one of the oldest methods of processing food into a form that is suitable for preservation. For example, making cheese is a good way of preserving milk. Wine is an excellent means for preserving grapes. Kimchi is a perfect vehicle for preserving and enhancing the flavor of the humble cabbage. Fermentation probably began from baser motives, however. In the hot climates of the Middle East fruit rapidly deteriorates. Many fruits ferment naturally producing acids and alcohol. People eating this fermenting fruit would have noticed a different flavor from the build-up of acid and perhaps a slight effect from the small amounts of alcohol present. This would have been enough to set curious minds on the path to discovering the benefits of controlled fermentation to produce alcoholic drinks. Reliable reports show that alcohol was being produced from fruit in Babylon almost 7000 years ago. The same peoples were among the first to ferment milk as well. So what are the benefits of this process that make it so widespread in almost every culture throughout the world? 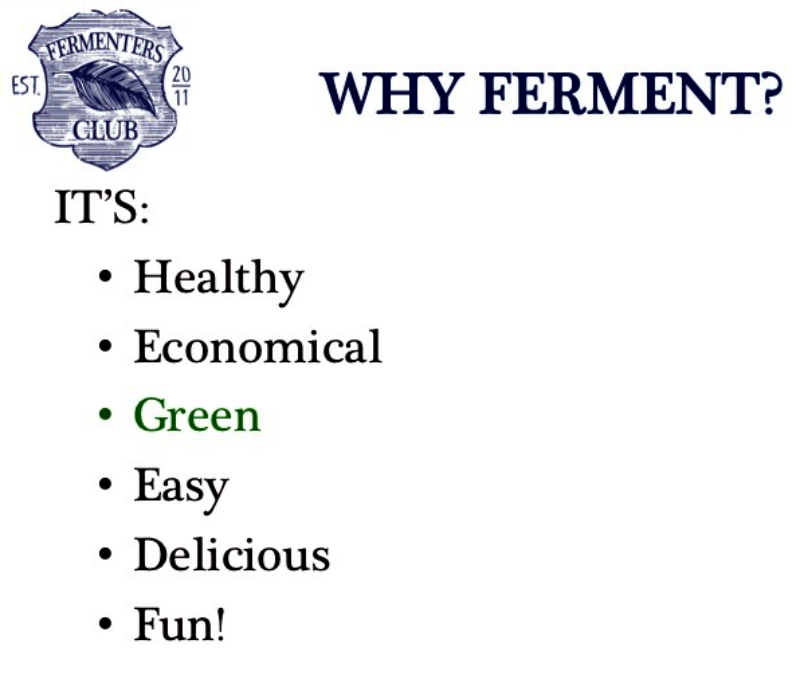 We have identified many benefits of fermented foods. One of the most important reasons to ferment foods is that it is a cheap and energy efficient form of preservation. Fermentation makes food products more interesting by intensifying the flavor through the conversion of sugars into acids. Fermenting makes grains more digestible. For example, porridge that has been fermented (as is common in Africa and even in Wales) hydrolyzes starch into shorter chains of glucose and dextrose. Fermented products often contain higher levels of vitamins (particularly thiamine, nicotinic acid, biotin and riboflavin) and proteins. Examples are the Mexican drink called pulque, the Indian fermented bread called idli, sorghum beer from southern Africa and palm wine from West Africa. Some fermented products have meat-like flavors and odors which is important for cultures where meat is scarce (eg soy and fish sauces). 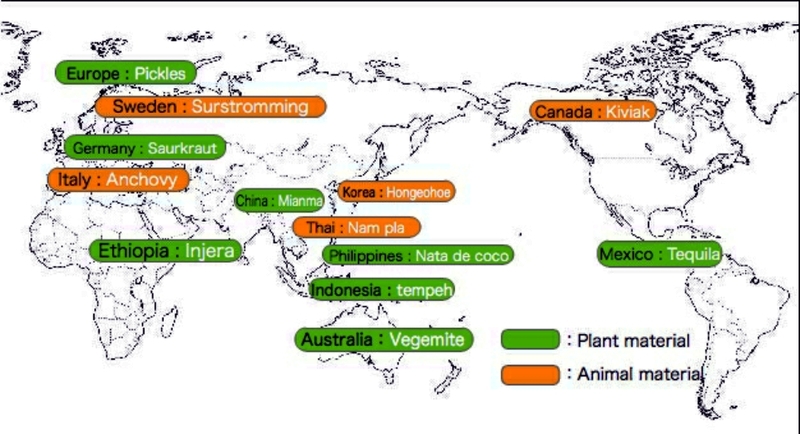 South East Asian countries had an excess of fish products and a paucity of meat. It made sense to make something that reminded the senses of meat. 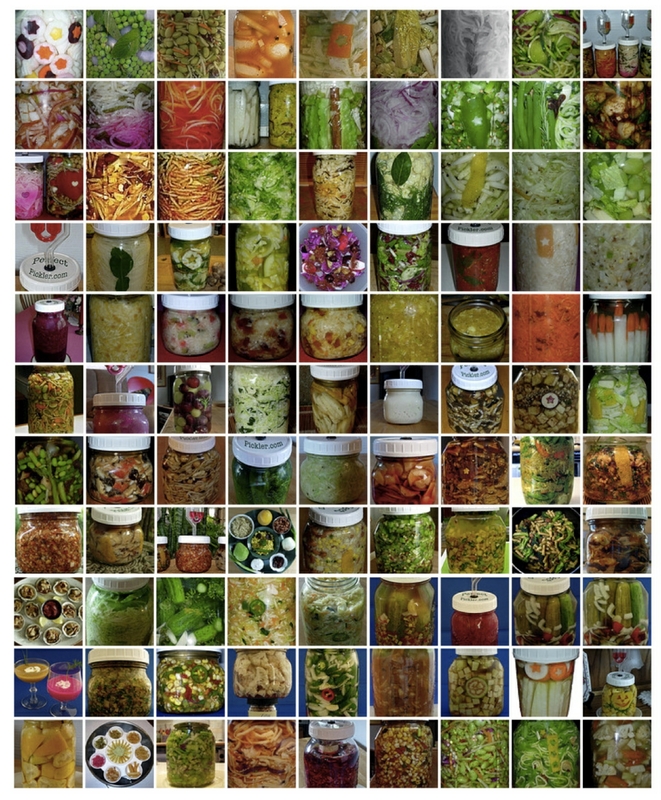 Fermented foods often contain a higher level of convertible energy than non-fermented foods of the same weight. There are medical advantages associated with a constant intake of some fermented foods (koumiss is used in Russia to treat tuberculosis). Now we are going to look more closely at the fermentation process and what causes it to happen. Why does bread rise? What turns barley into luscious, golden beer? How do green soy beans turn into the black, unctuous, oozing liquid that we dip our sushi into? What creates that tingling flavour that we detect in Indian dosas? Why do the Welsh soak their breakfast cereals overnight? 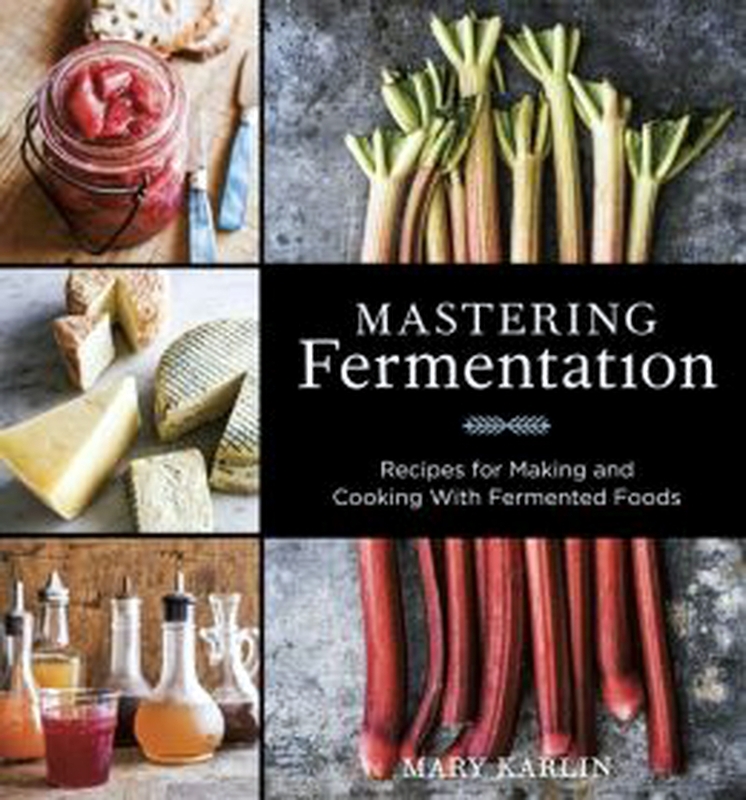 We will attempt to define what fermentation is and then we will look at some of the chemical reactions that take place while food is fermenting. 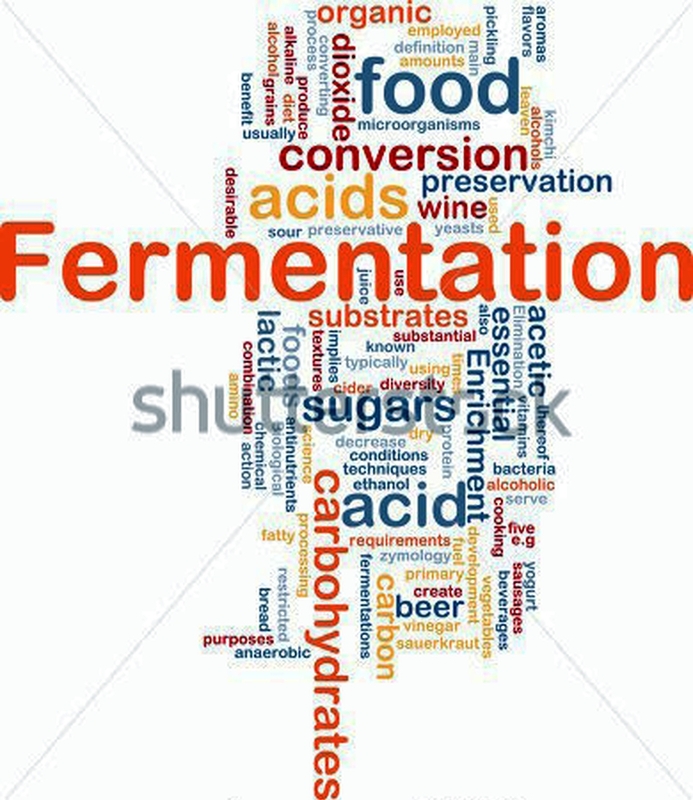 There isn’t common agreement on a definition of fermentation. It all depends on who is defining it and what their perspective on the process is. A food aid person might define it as a relatively low-cost means of using bacteria, yeasts and molds in preserving food and enhancing its flavor and nutritional value. A food technologist, however, might see it in a different way. 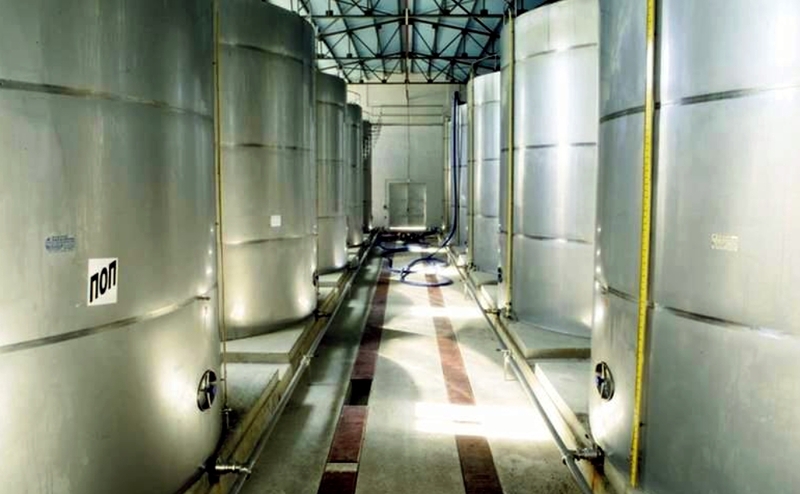 To them, fermentation is a process by which bacteria, yeasts and molds convert sugars and carbohydrates into less complex products such as carbon dioxide and alcohol. A key point about fermentation from a chemical perspective is that relatively complex organic compounds are split into simpler chemicals. 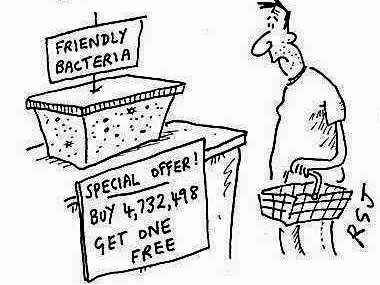 Everyone knows what bacteria are, but not everyone realizes that there are ‘good’ bacteria as well as ‘bad’ bacteria. Some of the fermentation processes actually encourage the presence of bacteria to break down inedible or harmful food products and render them safe for consumption. A good example is the introduction of bacteria into milk products to produce yoghurt. Yeasts and molds are less well understood by the general community. Both are fungi and are by nature parasites. They must feed off other substances such as soil, wood, leaves or fruit. Yeasts chomp away at the barley malt to produce the alcohol for beer. Molds are injected into cheeses to produce the fabulous flavor of a gorgonzola or stilton. A fundamental chemical underpinning of fermentation is that an acidic environment is created. 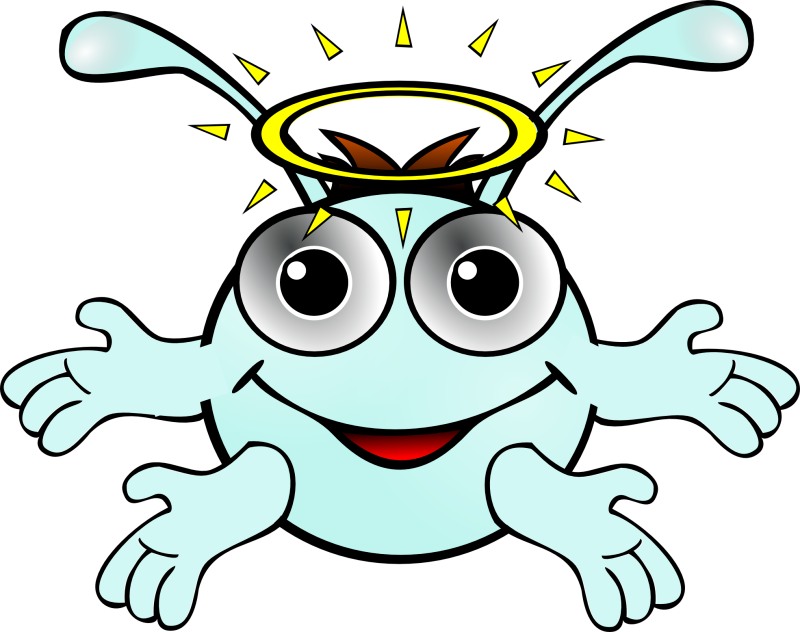 Many harmful organisms cannot exist in an acidic solution. All of this has been known for a long time. Georg Stahl developed the theory of fermentation back in 1697 although the chemistry was detailed by the famous Lavoisier in 1787. Bacteria can be harnessed for good as well. Bacteria added to milk in the presence of rennet starts the process of cheese production. Bacteria added to chopped cabbage produces the acidic environment required for the creation of sauerkraut in Europe, kimchi in Korea. 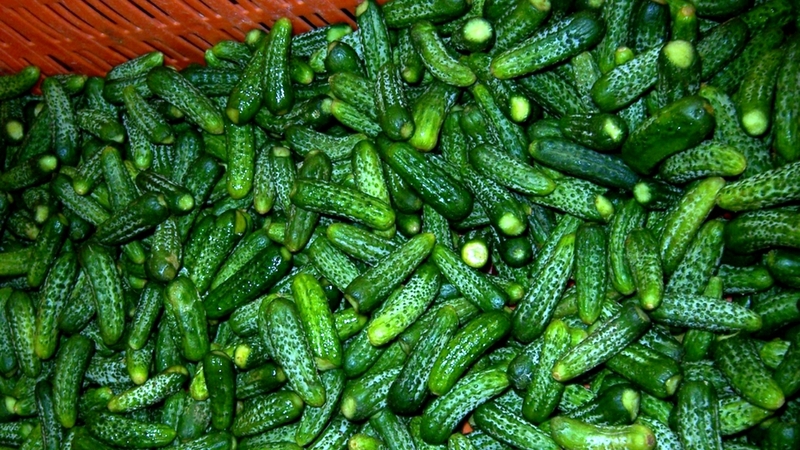 A similar process is used for cucumber pickles in the United States, khalpi and gundruk in Nepal, hum choy in China and torshi khiar in Egypt. 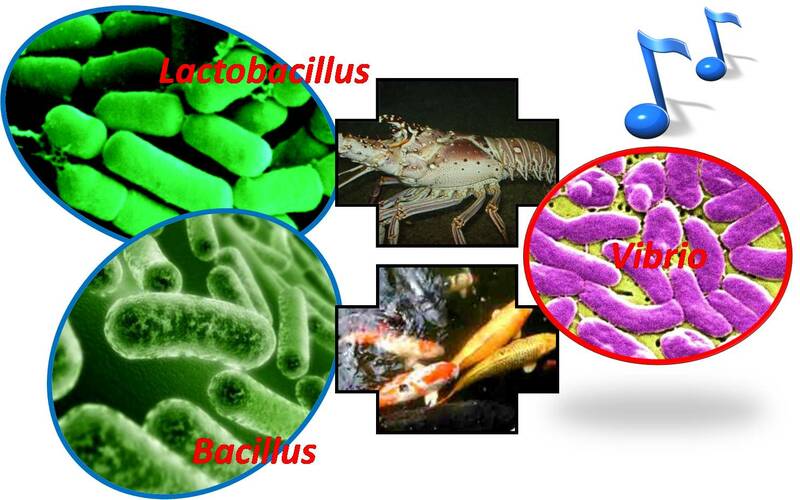 Bacteria are either single or multi-cell organisms that are found just about everywhere in nature. Often, but not always, they contribute to food spoilage. They are voracious eaters. They do this by sending enzymes out through their cell walls on raiding parties into the surrounding environment. These enzymes attack food sources and break them down into particles that can be absorbed by the cell through osmosis. Some bacteria are particularly fond of carbohydrates found in dairy products and can rapidly convert them into lactic acid. 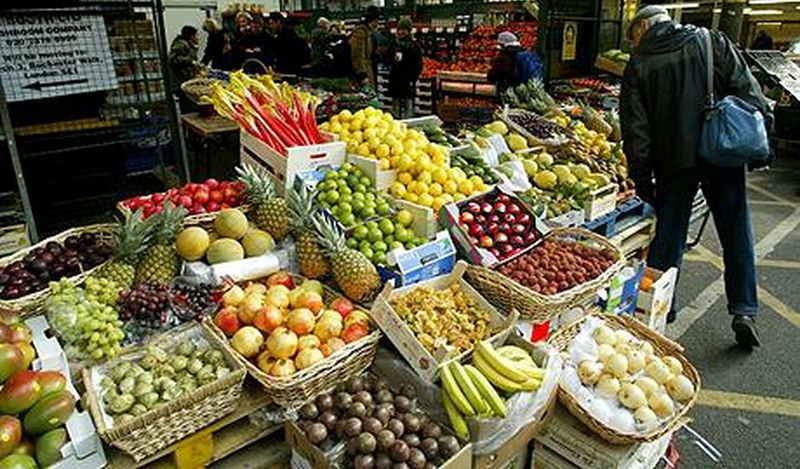 Far fewer are very keen on the sugars in fruit and break them down to produce acetic acid. The reason that not so many bacteria are successful at fermenting fruits is that growing fruits are usually high in acid – the nemesis of many bacteria. Not so with vegetables, however. Most vegetables are low acid and very susceptible to bacterial fermentation. Therefore the fermentation of vegetables into a high acid environment (sauerkraut, pickles, kimchi) is a perfect way of preserving them. The acids produced by fermentation are the slightly sour taste that you will recognize in many of our favorite foods including buttermilk, yoghurt, sauerkraut, pickles and even olives. 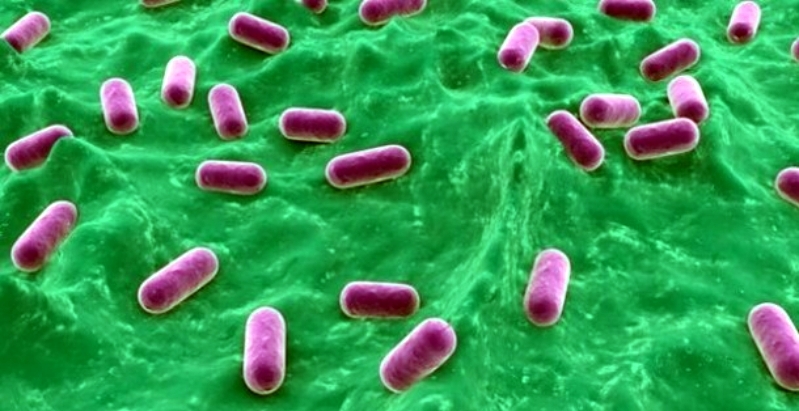 As the acid levels increase, harmful bacteria are killed off. Lactic acid bacteria go to work on carbohydrates found in flour, grain, dairy products and vegetables to produce an acidic environment that is both suitable for the preservation of the food and for changing the nature of the flavor of the food. Thus, lactic acid bacteria are responsible for the highly desirable sour taste in sourdough bread. They are responsible for the acidic nature of sauerkraut. They are even responsible for nullifying the harmful cyanide substances in cassava enabling the production of the widely eaten gari and fufu in Africa. In this case the lactic acid bacteria turn the cyanide compounds into cyanic gases which then escape from the fermenting food, thus rendering it harmless. By producing the acidic environment they cause other, harmful bacteria to die, thus making the food safe for storage and subsequent consumption. In some cases the process is quite complex. For example, the production of sauerkraut requires the presence of at least three different types of lactic acid bacteria as well as salt and pressure to release the sugary juices from the cabbage. There are also bacteria that are responsible for acetic acid fermentation rather than lactic acid fermentation. These are the bacteria that work on fruits, ciders and wine to produce vinegars of all types (and also ruin wine if it is left open for too long). It should be noted, however, that vinegar production actually involves both bacterial and yeast fermentation. The yeasts start the process and produce ethyl alcohol and carbon dioxide. The bacteria then take over and, in the presence of air (hence oxygen) turn the alcohol into the required acetic acid. Yeast is used in the production of bread, beer, cider and wine. In Belgium with some of those lovely, rich beers are produced without any added yeast at all. The vat are simply left open to enable the air-borne yeasts to find their way in. Yeasts are single-celled organisms that tragically reproduce asexually. They are generally larger than bacteria. The cell wall allows oxygen to pass inwards and waste products such as alcohol and carbon dioxide to pass out through it. Yeasts release enzymes (an important one for fermentation is zymase) on search and destroy missions aimed at sugars. The enzymes induce, and control the rate of, the chemical reactions necessary to break down sugars to produce alcohol and carbon dioxide. For example, in flour there are abundant starches. These are simply lots of glucose molecules joined together. When the yeasts have done their work we kill them. Thus the action of baking bread kills the yeast that has produced the carbon dioxide that has helped the bread to rise. Or when they produce alcohol in a closed environment the alcohol eventually kills them. Aerobic conditions are what yeasts like best and if left to their own devices they will happily convert all available sugars to carbon dioxide and water, not alcohol. But scientists long ago discovered that yeasts are particularly flexible. They don’t particularly mind what conditions they live in provided they get to eat! Most living things die without access to oxygen. Yeasts are living creatures, however they don’t particularly mind if there is no oxygen around. They can still munch on sugars in this absence. This is why bread rises and beer fizzes – it is because the carbon dioxide is trapped. In the case of bread it is trapped in the cellular structure of the dough itself. The baking gradually kills the yeast and evaporates the alcohol. In the case of beer and cider the carbon dioxide is kept within the closed containers. Molds can be preservers or spoilers depending on the type and how they are treated. The aspergillus mold is often associated with food spoilage, for example. Molds, do however, impart characteristic flavors and produce enzymes such as amylase for bread making. Molds from the penicillium genus help ripen and flavor cheese. If you have eaten a Stilton or Roquefort or Gorgonzola then you have eaten the Penicillium roquefortii mold. While we have not had the opportunity to explore the caves holding the Roquefort cheeses, we can vividly remember walking through deep cellars in Burgundy, trailing our hands along the ceiling feeling the deep, soft, furry, black thickness of penicillium mold that has been growing for centuries and that is carefully guarded to ensure that it imparts the right ‘atmosphere’ to the cellars. Molds generally do not assist with the fermentation of fruit or vegetables. They are better with dairy products. Your body needs [enzymes] to adequately digest, absorb, and utilize the nutrients in your food. As you age, your body’s supply of enzymes goes down. 5. Eating fermented food helps us to absorb the nutrients we’re consuming. There’s nothing fancy required for this hobby. And many of the foods required to make these recipes are very cheap. You can use inexpensive cabbage to make sauerkraut, or get yourself akombucha scoby and with just pennies’ worth of water, sugar and tea, you’ve got a health elixir slash soda pop. There’s a reason humans enjoy drinking wine and eating stinky cheese. There’s a reason we like sauerkraut on our hot dogs and salsa on our tortilla chips and pickle slices on our sandwiches. It tastes good! Fermented foods contain beneficial probiotics, digestive enzymes and health boosting nutrients. There are a variety of different fermented foods available to supplement our daily diet. Supplementing our diets with fermented food offers the following heath benefits: it can help to reduce high cholesterol levels in our blood, it strengthens and supports our digestive and immune systems thereby allowing our bodies to fight off and prevent disease. Based on how foods are harvested, handled and heat treated there are differing levels of pro and probiotic material in the finished food product. 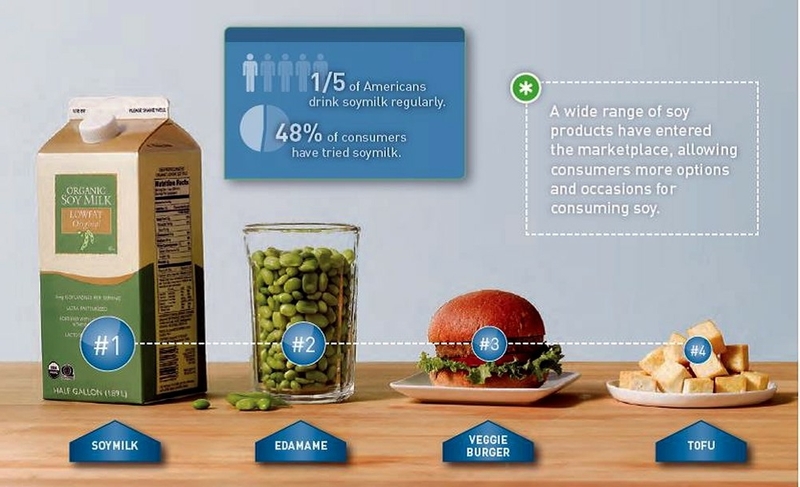 Many studies have shown traditionally fermented soy, which is the form that is very popular in many Asian cultures, aids in preventing and reducing a variety of diseases including certain forms of heart disease and cancers. One study on the culturing method involved in the production of the Japanese traditional food “Miso” concluded that the culturing process itself led to a lower number and growth rate of cancer cells. 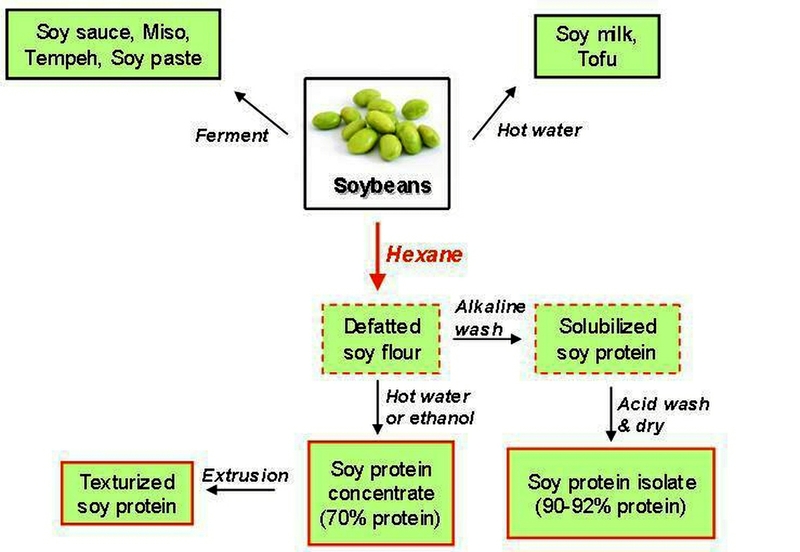 Researchers also found it was not the presence of any specific nutrient that was cultured along with the soy bean paste but the cultured soy medium itself that was responsible for the health benefits associated with eating miso. Miso, a fermented or probiotic form of soy bean, is particularly rich in the isoflavone aglycones, genistein and daidzein, which are believed to be cancer preventatives. The health benefits are found to be as good with natto, according to research conducted by scientists in Japan, who have found that natto has the highest fibrinolytic activity among 200 foods available worldwide. About 15 years ago, one of these same scientists discovered that an enzyme produced in the fermentation process, “nattokinase”, is a very powerful agent contained in the sticky part of natto that dissolves blood clots that can lead to heart attacks, strokes and senility. Natto also contains vitamin K2 and isophrabon, which help to prevent diseases such as osteoporosis and breast cancer and to slow down the aging process. Several years ago, the World Health Organization reported that the Japanese, who consume large amounts of fermented soy foods like natto and miso along with green tea, ginger and ocean herbs, have the longest lifespan of any people in the world. In this same study Americans did not even make the top 20 for lengthy life spans. It might behoove us to turn back to the traditional ways our ancestors used in preparing their daily food menu, to consume more fermented foods, and not rely as heavily on refrigeration and freezing of our food supply as a means of preserving our food. Mankind has been eating fermented food for millennia, It can be fun and rewarding to go back to practicing the same healthy ways of preparing our family’s foods as our grandparents! 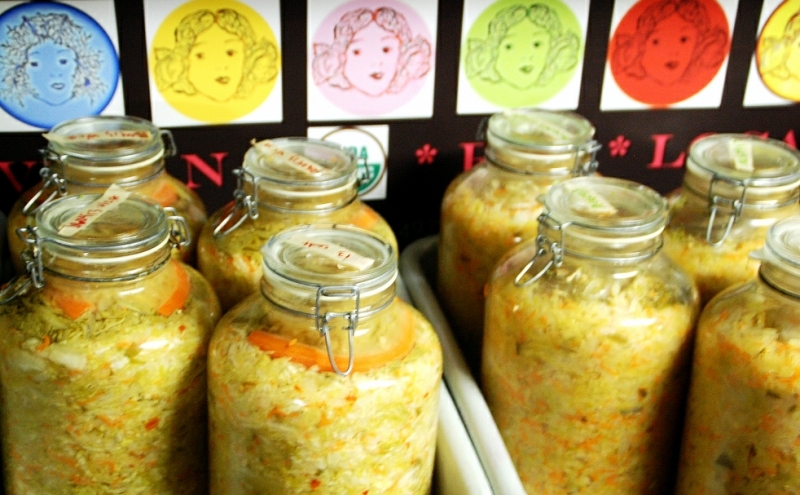 Fermented foods are valued for their health benefits and as a means of food. I am on a fermented food kick. It started when I pickled the 14 cucumbers I discovered in my garden after returning from vacation this summer. We couldn’t eat that many, so I preserved them, and they make a mean addition to any sandwich, topping to salad or side to soup. The fermentation kick persisted into the fall, when my older son showed signs of allergies and my daughter exhibited her first real cold. 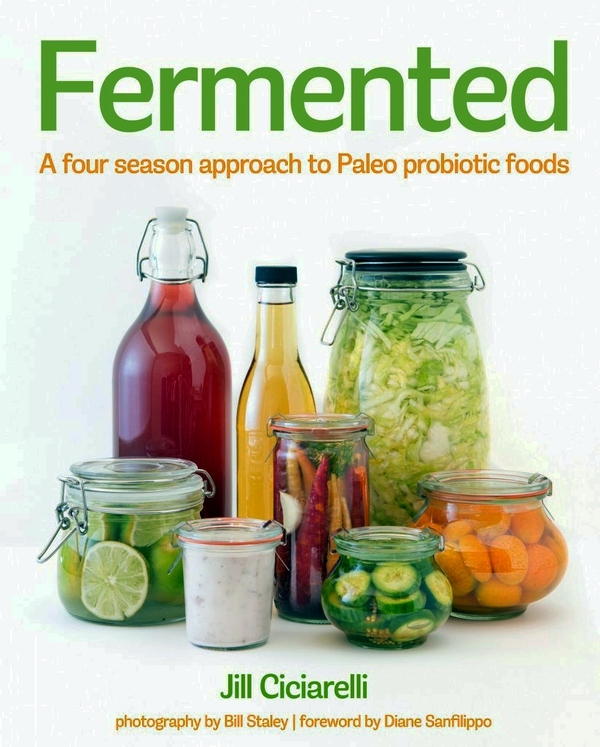 “Fermented foods help people stay healthy,” says Sandor Katz in his New York Times best-selling book “The Art of Fermentation.” I wanted my family to enjoy an illness-free winter, so the fermentation continued. 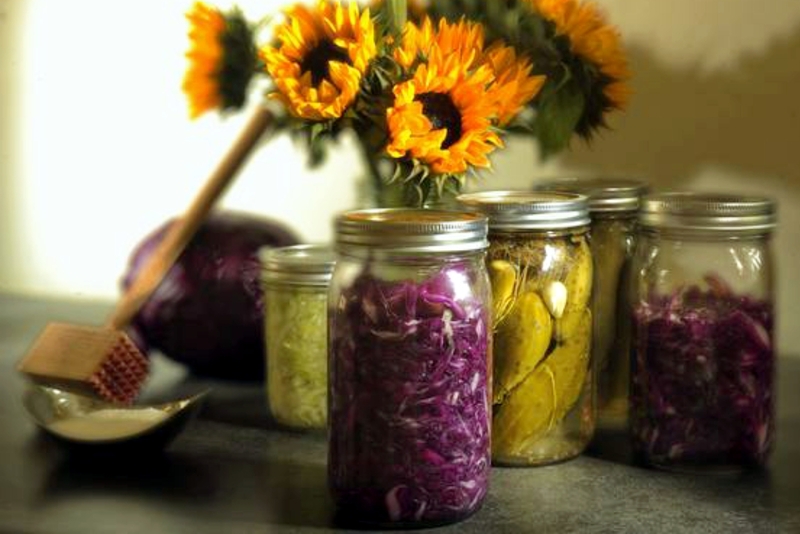 What exactly are fermented foods? Wine, beer and cider are fermented. Leavened bread is fermented. Dairy products such as yogurt, kefir and some cheeses are fermented. Pickled vegetables can be fermented. When fermentation occurs, the sugars and carbohydrates in a food convert into something else. For instance, juice turns into wine, grains turn into beer, carbohydrates turn into carbon dioxide to leaven bread and vegetable sugars become preservative organic acids. Why does this process help people stay healthy? Fermented foods aid in digestion and thus support the immune system. Imagine a fermented food as a partially digested food. For instance, many people have difficulty digesting the lactose in milk. When milk is fermented and becomes yogurt or kefir, the lactose is partially broken down so it becomes more digestible. Organic or lactic-acid fermented foods (such as dill pickles and sauerkraut) are rich in enzyme activity that aids in the breakdown of our food, helping us absorb the important nutrients we rely on to stay healthy. 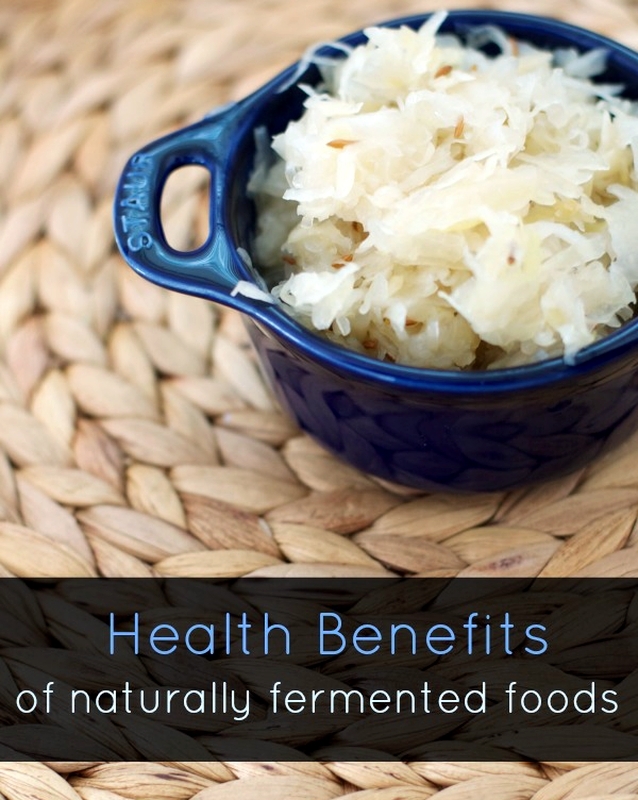 Fermented foods have been shown to support the beneficial bacteria in our digestive tract. In our antiseptic world with chlorinated water, antibiotics in our meat, our milk and our own bodies, and antibacterial everything, we could use some beneficial bacteria in our bodies. When our digestion is functioning properly and we are absorbing and assimilating all the nutrients we need, our immune system tends to be happy, and thus better equipped to wage war against disease and illness. 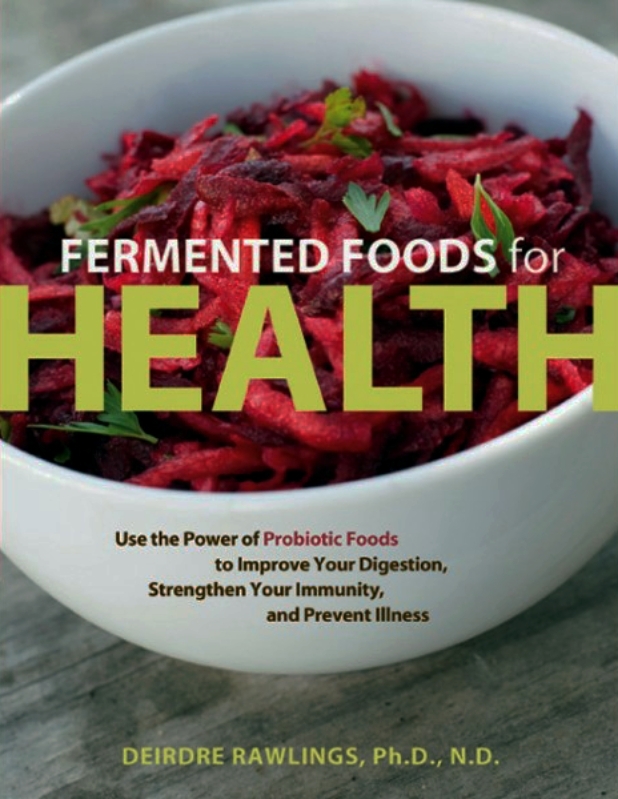 I am not claiming that fermented foods are a panacea, but I do believe these foods encourage effective digestion and — along with sleep, exercise and a nutrient-rich diet — help nurture a strong immune system. 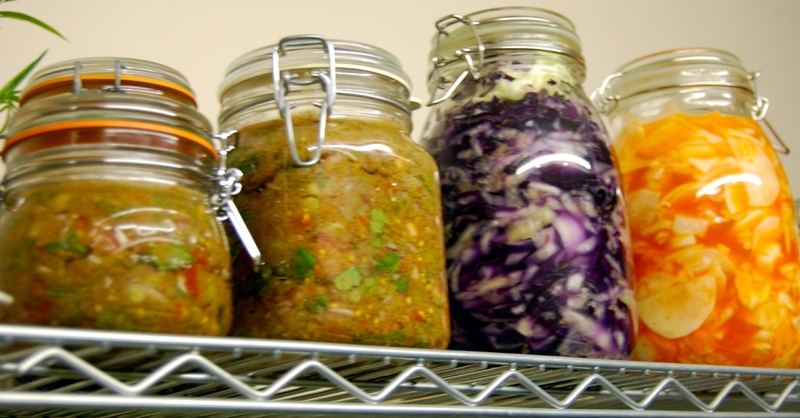 Are you turned off by the idea of a fermented food? Don’t be. Fermented foods are valued for their health benefits and as a means of food preservation, but they wouldn’t have been part of our diets for so long if they weren’t tasty as well. For some, a fermented, stinky cheese is a delicacy. And it pairs nicely with a glass of fermented red wine. To receive the health benefits and the flavors of fermented foods, you don’t need to make an entire meal of them. Just a little bit will do. A spoonful of sauerkraut on your sausage offers benefits and adds flavor. So do a few sips of miso soup to begin a meal or a few pickles on a turkey sandwich. 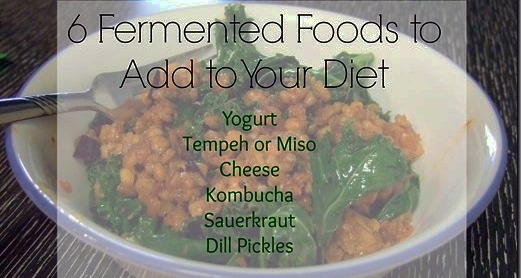 Incorporating fermented foods into the diet is simple. Replace regular bread with a fresh sourdough variety. Choose kefir and yogurt over regular milk. Both work well in smoothies. Kombucha is a fermented drink found in many grocery stores. 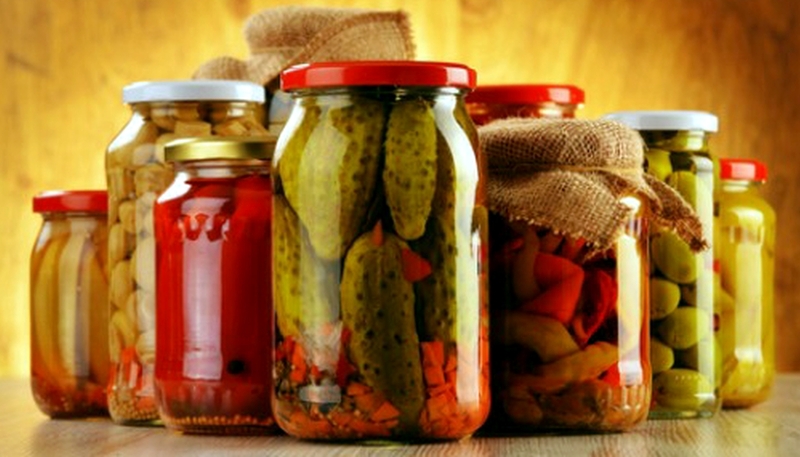 Look for naturally fermented vegetables such as pickled cucumbers, beets, onions, sauerkraut, salsa and kimchi. These are sold in the refrigerated section of your grocery store, not with the shelf-stable foods. Add a spoonful to any dish. Use miso to marinate fish or in soup. Add a tablespoon of fermented chutney to cooked meat. 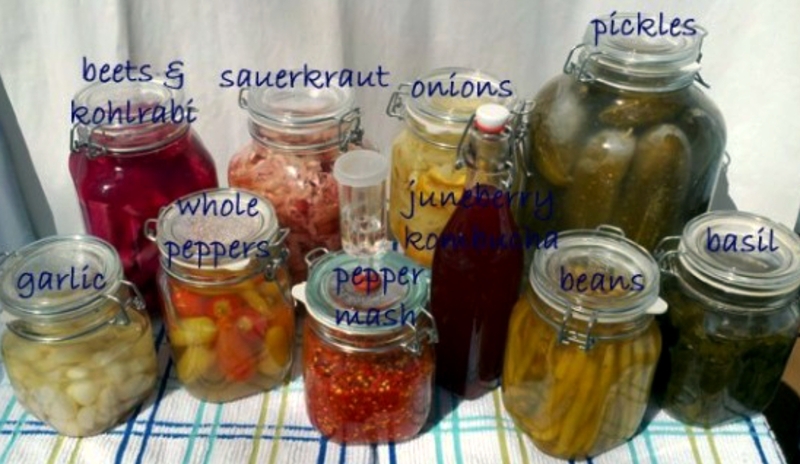 Use naturally fermented condiments (found in the refrigerated section of your grocery store). Because my kids love ketchup and would put it on everything if I allowed, I have started making my own using the recipe in the cookbook “Nourishing Traditions.” My variety is fermented and thus has all the associated benefits, unlike most commercial ketchup, which is made with sugar or corn syrup and other additives. Look for sourdough bread instead of bread made with commercial yeast. Drink fermented beverages. Kefir and kombucha are available at many health food stores. They’re also very easy to make at home. Serve food with pickles, sauerkraut, salsa, ketchup, sour cream, kimchi, mayonnaise and other naturally fermented condiments. Eat some Japanese natto with rice. Visit an Ethiopian restaurant and sample some of their delicious fermented injera bread. Self-serve olive bars are becoming so popular in many Washington supermarkets that store owners are now offering expanded “antipasto” bars, heaped high with pickles, pickled peppers, mushrooms, artichokes and other tangy pickled and marinated foods, according to The Seattle Times. This growing trend in both health/natural and regular commercial supermarkets across the country is theoretically good news for health-conscious consumers looking to increase their digestive, cardiovascular and immune health, since these traditionally lacto-fermented foods are some of the oldest and healthiest on the planet. Yet, the key phrase you absolutely must watch for if you want to achieve the amazing health benefits is traditionally lacto-fermented, as not all of these tasty condiments are created equal. Olives, pickles, grass-fed cheese, wine, yogurt, sauerkraut and the seasoned, aged sausages the French call “charcuterie” are some of this category’s most popular delicacies. Though the term “fermented” sounds vaguely distasteful, the results of this ancient preparation and preservation technique — produced through the breakdown of carbohydrates and proteins by microorganisms such as bacteria, yeasts and molds — are actually delicious. Even more so, they are so beneficial to overall health that some of these “functional foods” are now considered to be “probiotics,” increasing your overall nutrition, promoting the growth of friendly intestinal bacteria, and aiding digestion and supporting immune function, including an increase in B vitamins (even Vitamin B12), omega-3 fatty acids, digestive enzymes, lactase and lactic acid, and other immune chemicals that fight off harmful bacteria and even cancer cells. Fermentation is an inconsistent process –almost more of an art than a science — so commercial food processors developed techniques to help standardize more consistent yields. Technically, anything that is “brined” in a salt stock is fermented, but that’s where the similarity ends, as each type of fermented food has specific, unique requirements and production methods. Refrigeration, high-heat pasteurization and vinegar’s acidic pH all slow or halt the fermentation and enzymatic processes. “If you leave a jar of pickles that is still fermenting at room temperature on the kitchen counter, they will continue to ferment and produce CO2, possibly blowing off the lid or exploding the jar,” explains Richard Henschel of Pickle Packers International, which is why, of course, all “shelf-stable” pickles are pasteurized. It’s probably not surprising that our culture has traded many of the benefits of these healthy foods for the convenience of mass-produced pickles and other cultured foods. Some olives, such as most canned California-style black olives, for instance, are not generally fermented, but are simply treated with lye to remove the bitterness, packed in salt and canned. Olive producers can now hold olives in salt-free brines by using an acidic solution of lactic acid, acetic acid, sodium benzoate and potassium sorbate, a long way off from the old time natural lactic-acid fermenting method of salt alone. Some pickles are simply packed in salt, vinegar and pasteurized. Many yogurts are so laden with sugar that they are little more than puddings. 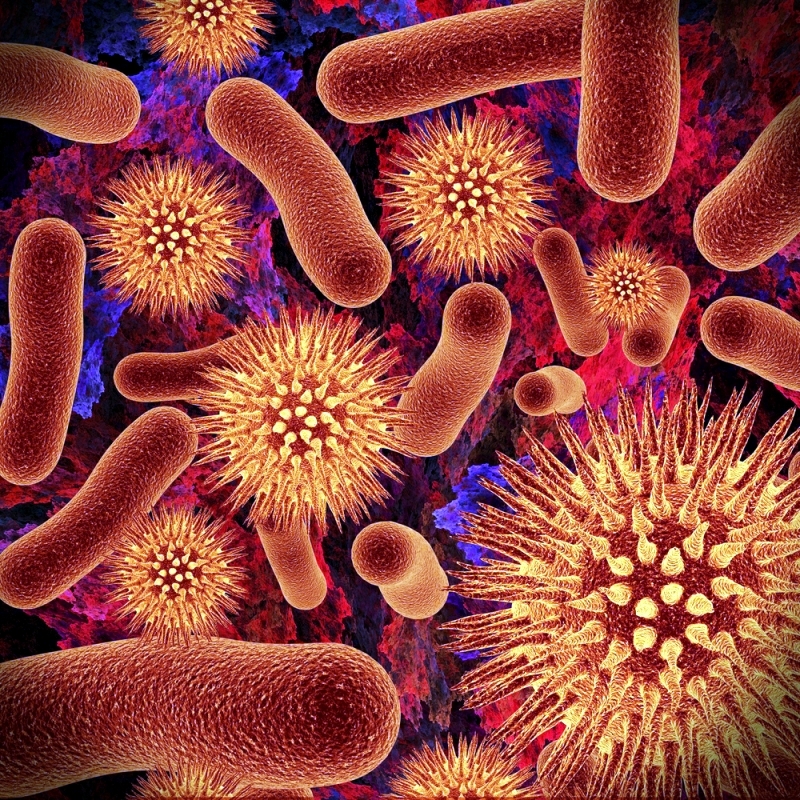 Unfortunately, these modern techniques effectively kill off all the lactic acid producing bacteria and short-circuit their important and traditional contribution to intestinal and overall health. And even the common cold! Eating sugar nourishes pathogenic bacteria, yeast and fungi in your gut. One of the major results of eating a healthy diet, low in sugar, is that you cause your beneficial gut bacteria to flourish, and they secondarily perform the real “magic” of restoring your health. 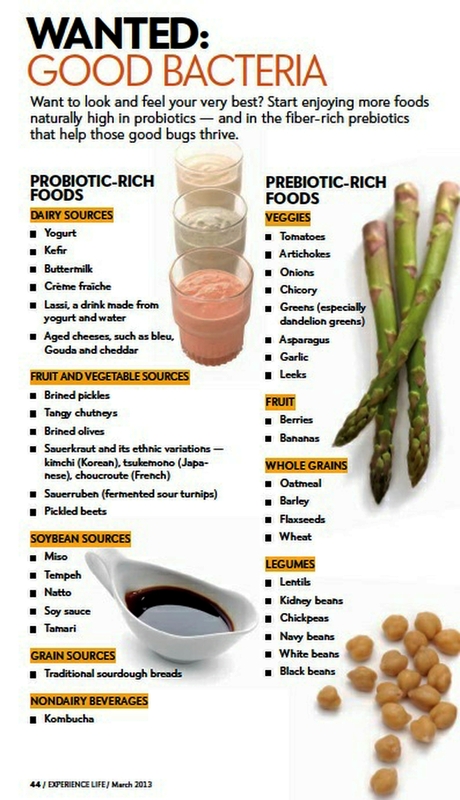 All in all, the research into probiotics indicates that probiotic supplementation is as important as taking a multi-vitamin; in fact, the true importance for your health is likely right up there with vitamin D.
Fermented foods are the most potent source of beneficial bacteria, and these probiotics are some of the best chelators available, capable of drawing out a wide range of toxins and heavy metals. According to Dr. McBride, the GAPS Nutritional Protocol restores your own detoxification system in about 90 percent of people, and the fermented/cultured foods are instrumental in this self-healing process. Europe: rakfisk, sauerkraut, pickled cucumber, surströmming, mead, elderberry wine, salami, prosciutto, cultured milk products such as quark, kefir, filmjölk, crème fraîche, smetana, skyr. Pickling is the process of preserving food by anaerobic fermentation. The resulting food is called a pickle. This procedure generally gives the food a sour taste. In South Asia, edible oils are used as the pickling medium with vinegar. Another distinguishing characteristic is a pH less than 4.6, which is sufficient to kill pathogenic bacteria. 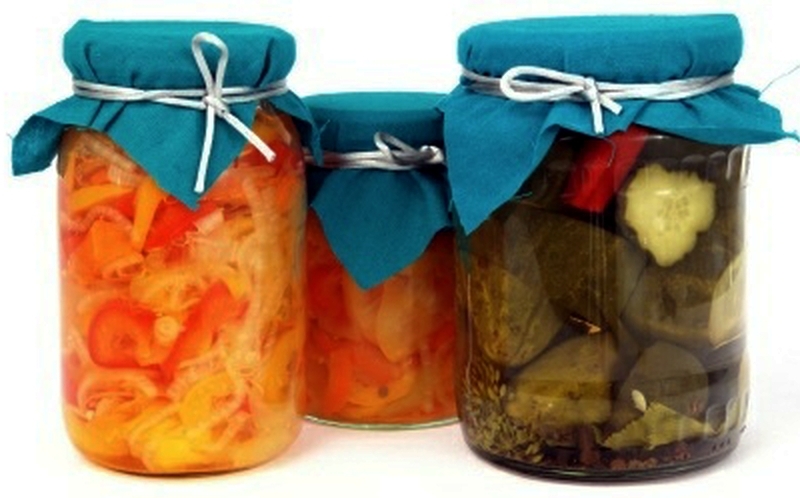 Pickling can preserve perishable foods for months. Antimicrobial herbs and spices, such as mustard seed, garlic, cinnamon or cloves, are often added. If the food contains sufficient moisture, a pickling brine may be produced simply by adding dry salt. For example, German sauerkraut and Korean kimchi are produced by salting the vegetables to draw out excess water. Natural fermentation at room temperature, by lactic acid bacteria, produces the required acidity. Other pickles are made by placing vegetables in vinegar. Unlike the canning process, pickling (which includes fermentation) does not require that the food be completely sterile before it is sealed. The acidity or salinity of the solution, the temperature of fermentation, and the exclusion of oxygen determine which microorganisms dominate, and determine the flavor of the end product. When both salt concentration and temperature are low, Leuconostoc mesenteroides dominates, producing a mix of acids, alcohol, and aroma compounds. At higher temperatures Lactobacillus plantarum dominates, which produces primarily lactic acid. 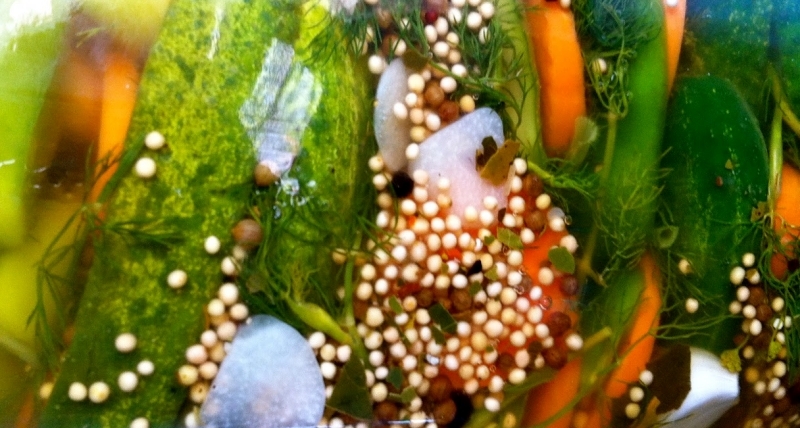 Many pickles start with Leuconostoc, and change to Lactobacillus with higher acidity. Pickling began 4000 years ago using cucumbers native to India. It is called “achar” in northern India. This was used as a way to preserve food for out-of-season use and for long journeys, especially by sea. Salt pork and salt beef were common staples for sailors before the days of steam engines. Although the process was invented to preserve foods, pickles are also made and eaten because people enjoy the resulting flavors. Pickling also improves the nutritional value of food by introducing B vitamins produced by bacteria. 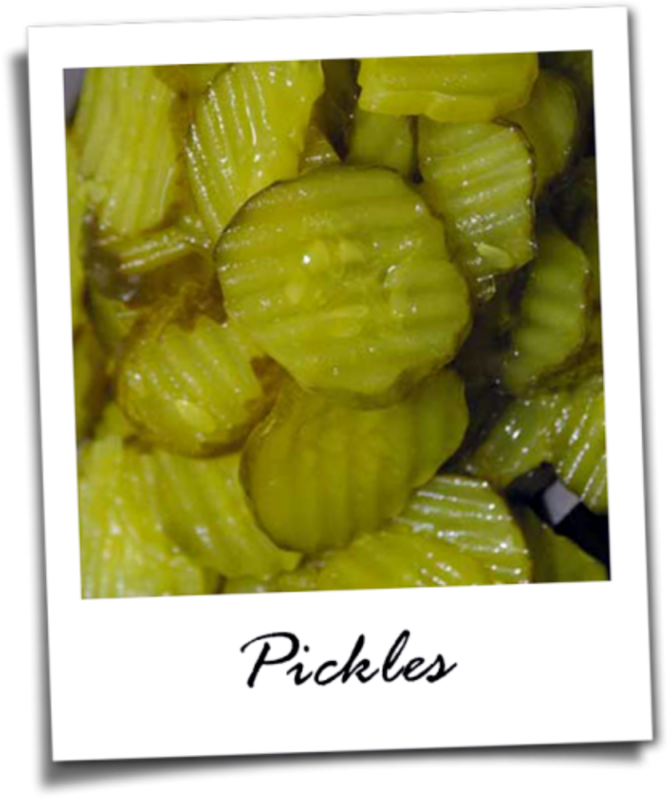 The term pickle is derived from the Dutch word pekel, meaning brine. In the U.S. and Canada, the word pickle alone almost always refers to a pickled cucumber (other types of pickles will be described as “pickled onion,” “pickled cauliflower,” etc. ), except when it is used figuratively. In the UK, pickle (as in a “cheese and pickle sandwich”) refers to Ploughman’s pickle, a kind of chutney. India has a large variety of pickles (known as Achar in Punjabi and Hindi, Uppinakaayi in Kannada, Lonacha in Marathi, Oorukai in Tamil, ooragaya in Telugu), which are mainly made from varieties of mango and lime; and Indian gooseberry (amla), chilli, vegetables such as egg plants, carrots, cauliflower,tomato, bitter gourd & green tamarind, ginger, garlic, onion, citron are also occasionally used. These fruits/vegetables are generally mixed with some ingredients like salt, spices, vegetable oils and is set to mature in moisture less medium. In Pakistan, pickles are known locally as Achaar (in Urdu) and come in a variety of flavors. Amongst some of the most popular is the traditional mixed Hyderabadi pickle, a common delicacy and staple prepared from an assortment of fruits (most notably mangos) and vegetables blended with selected spices. Indonesian and Malaysian pickles, acar are typically made out of cucumber, carrot, bird’s eye chilies, and shallots, these items being seasoned with vinegar, sugar and salt. Fruits, such as papaya and pineapple are also sometimes pickled. 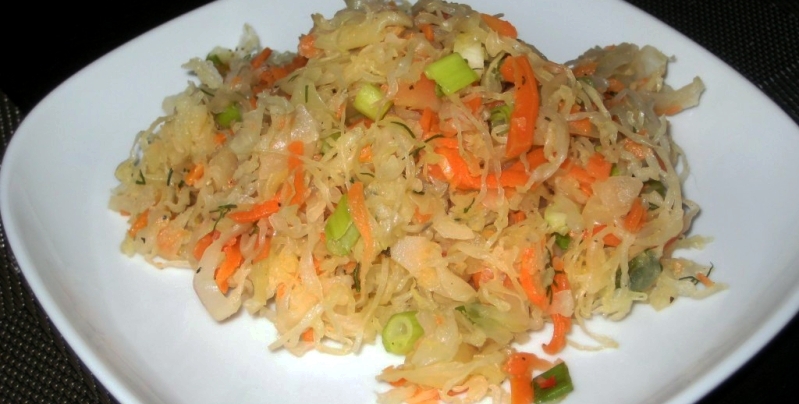 In the Philippines, achara is primarily made out of green papaya, carrots, and shallots, with cloves of garlic and vinegar. In Vietnam, vegetable pickles are called d?a mu?i (salted vegetables) or d?a chua (“sour vegetables”). In Sri Lanka, achcharu is traditionally prepared out of carrots, onions, and ground dates. Mixed with mustard powder, ground pepper, crushed ginger, garlic and vinegar, these items are seasoned in a clay pot. In Burma, tea leaves are pickled to produce laphet, which has strong social and cultural importance. China is home to a huge variety of pickled vegetables, including radish, baicai (Chinese cabbage, notably suan cai, la bai cai, pao cai, and Tianjin preserved vegetable), zha cai, chili pepper and cucumber, among many others. Japanese tsukemono (pickled foods) include takuan (daikon), umeboshi (ume plum), gari & beni shoga (ginger), turnip, cucumber, and Chinese cabbage. The Korean staple kimchi is usually made from pickled cabbage and radish, but is also made from green onions, garlic stems, chives and a host of other vegetables. 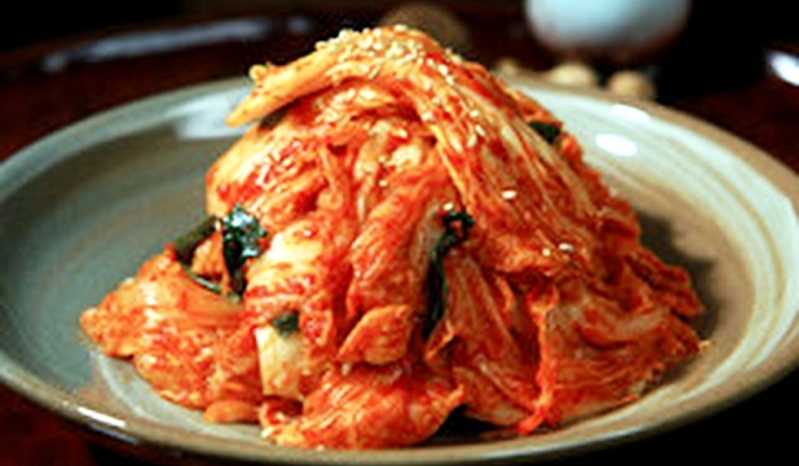 Kimchi is popular throughout East Asia. Jangajji is another example of pickled vegetables. In Arab countries, pickles (called mekhallel in Arabic) are commonly made from turnips, peppers, carrots, green olives, cucumbers, beetroot, cabbage, lemons, and cauliflower. In Iran, pickles (called torshi in Persian) are commonly made from turnips, peppers, carrots, green olives, cucumbers, cabbage, lemons, and cauliflower. Turkish pickles, called tur?u, are made out of vegetables, roots, and fruits such as peppers, cucumber, Armenian cucumber, cabbage, tomato, eggplant (aubergine), carrot, turnip, beetroot, green almond, baby watermelon, baby cantaloupe, garlic, cauliflower, bean and green plum. A mixture of spices flavor the pickles. Romanian pickles are made out of beetroot, cucumbers, green tomatoes (gogonele), carrots, cabbage, bell peppers, melons, mushrooms, turnips, celery and cauliflower. Meat, like pork, can also be preserved in salt and lard. Polish and Czech traditional pickles are cucumbers and cabbage, but other pickled fruits and vegetables, including plums, pumpkins and mushrooms are also common. Russian pickled items include beets, mushrooms, tomatoes, cabbage, cucumbers, ramsons, garlic, eggplant (which is typically stuffed with julienned carrots), custard squash, and watermelon. In Ukraine, garden produce is commonly pickled using salt, dill, currant leaves and garlic and is stored in a cool, dark place. In Britain, pickled onions and pickled eggs are often sold in pubs and fish and chip shops. Pickled beetroot, walnuts, and gherkins, and condiments such as pickle and piccalilli are typically eaten as an accompaniment to pork pies and cold meats, sandwiches or a ploughman’s lunch. Other popular pickles in the UK are pickled mussels, cockles, red cabbage, mango chutney, sauerkraut, and olives. An Italian pickled vegetable dish is giardiniera, which includes onions, carrots, celery and cauliflower. Many places in southern Italy, particularly in Sicily, pickle eggplants and hot peppers. 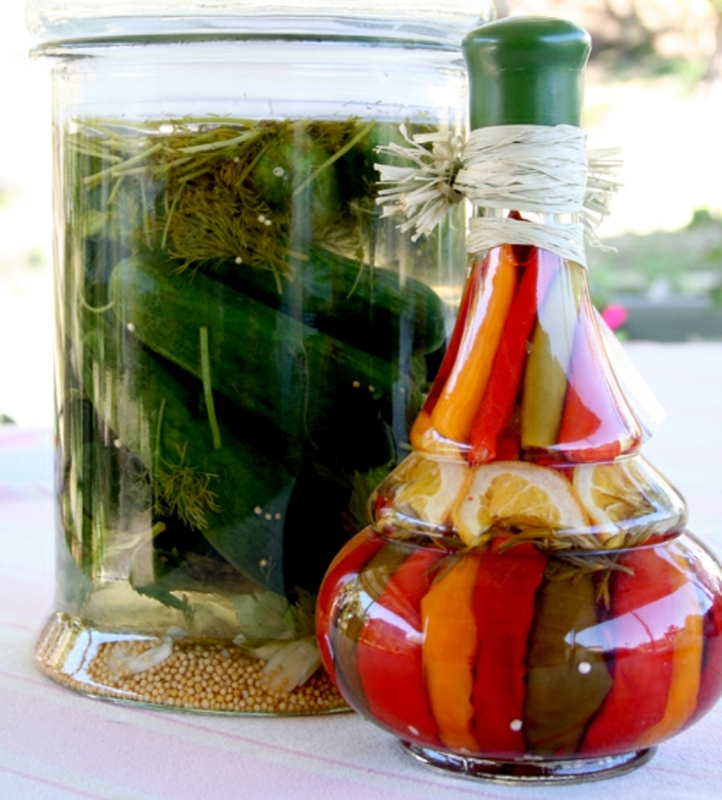 In Albania, Bulgaria, Serbia, Macedonia and Turkey, mixed pickles, known as turshi or turshu form popular appetizers, which are typically eaten with rakia. Pickled green tomatoes, cucumbers, carrots, bell peppers, peppers, eggplants, and sauerkraut are also popular. In Greece, pickles are made out of carrots, celery, eggplants stuffed with diced carrots, cauliflower, tomatoes, and peppers. Pickled herring, rollmops, and salmon are popular in Scandinavia. Pickled cucumbers and red garden beets are important as condiments for several traditional dishes. Pickled capers are also common in Scandinavian cuisine. In the United States and Canada, pickled cucumbers (most often referred to simply as “pickles” in Canada and the United States), olives, and sauerkraut are most popular, although pickles popular in other nations are also available. Giardiniera, a mixture of pickled peppers, celery and olives, is a popular condiment in Chicago and other cities with large Italian-American populations, and is often consumed with Italian beef sandwiches. Pickled eggs are common in the Upper Peninsula of Michigan. Pickled herring is available in the Upper Midwest. 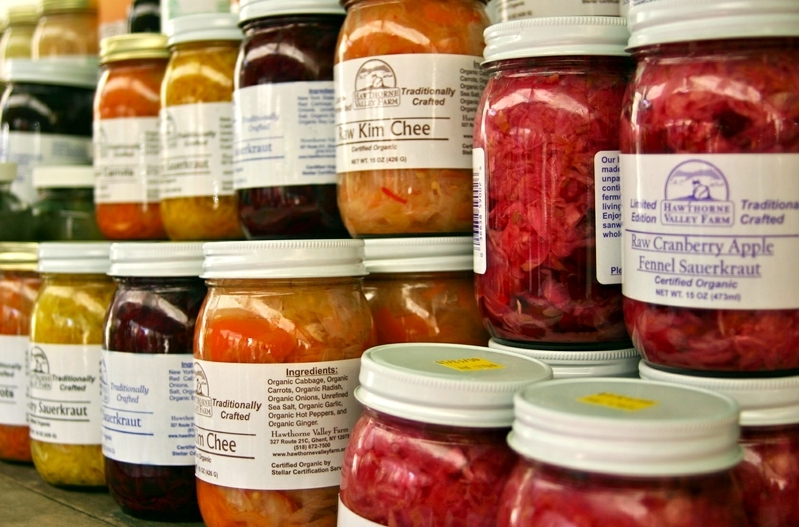 Pennsylvania Dutch Country has a strong tradition of pickled foods, including chow-chow and red beet eggs. In the Southern United States, pickled okra and watermelon rind are popular, as are deep-fried pickles and pickled pig’s feet, chicken eggs, quail eggs and pickled sausage. In Mexico, chili peppers, particularly of the Jalapeño and serrano varieties, pickled with onions, carrots and herbs form common condiments. Various pickled vegetables, fish, or eggs may make a side dish to a Canadian lunch or dinner. 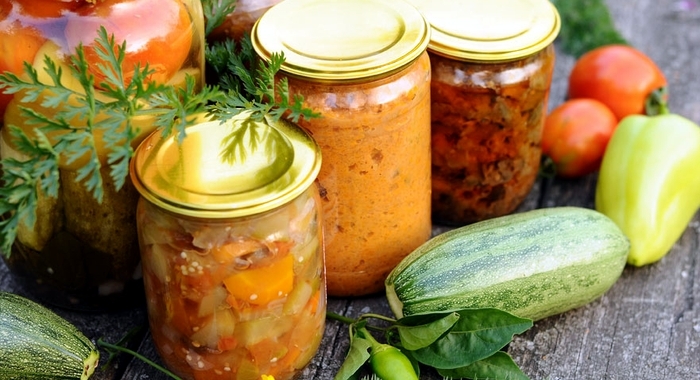 It has become quite trendy across Canada to pickle vegetables at home in mason jars. In the Mesoamerican region pickling is known as “encurtido” or “curtido” for short. The pickles or “curtidos” as known in Latin America are served cold, as an appetizer, as a side dish or as a tapas dish in Spain. In several Central American countries it is prepared with cabbage, onions, carrots, lemon, vinegar, oregano, and salt. In Mexico, “curtido” consists of carrots, onions, and jalapeño peppers and used to accompany meals still common in taquerias and restaurants. In order to prepare a carrot “curtido” simply add carrots to vinegar and other ingredients that are common to the region such as chili, tomato & onions. Another example of a type of pickling which involves the pickling of meats or seafood is the “escabeche” or “ceviches” popular in Peru, Ecuador & throughout Latin America & the Caribbean. These dishes include the pickling of pig’s feet, pig’s ears, and gizzards prepared as an “escabeche” with spices & seasonings to flavor it. The ceviches consist of shrimp, octopus & various fishes seasoned & served cold. A pickled cucumber (commonly known as a pickle in the United States and Canada or generically as gherkins in the United Kingdom) is a cucumber that has been pickled in a brine, vinegar, or other solution and left to ferment for a period of time, by either immersing the cucumbers in an acidic solution or through souring by lacto-fermentation. Cornichons are tart French pickles made from small gherkins pickled in vinegar and tarragon. They traditionally accompany pâtés. A “kosher” dill pickle is not necessarily kosher in the sense that it has been prepared in accordance with Jewish dietary law. Rather, it is a pickle made in the traditional manner of Jewish New York City pickle makers, with generous addition of garlic and dill to natural brines. In New York terminology, a “full-sour” kosher dill is one that has fully fermented, while a “half-sour,” has undergone a shorter stay in the brine, is still crisp and bright green and contains some natural sugar. Elsewhere, these pickles may sometimes be termed “old” and “new” dills. Dill pickles (not necessarily described as “kosher”) have been served in New York City since at least 1899. They are not, however, native to New York; they have been prepared in Russia, Ukraine, Germany and Poland for hundreds of years. The Polish-style pickled cucumber (Polish: ogórek kiszony/kwaszony) is a variety developed in the northern parts of Europe. It has been exported worldwide and is found in the cuisines of many countries. It is sour, similar to kosher dills, but tends to be seasoned differently. It is usually preserved in wooden barrels. A cucumber only pickled for a few days is different in taste (less sour) than one pickled for a longer time and is called ogórek ma?osolny, which literally means ‘little salt cucumber’. This distinction is similar to the one between half- and full-sour types of kosher dills (see above). Another kind of pickled cucumber, popular in Poland, is ogórek konserwowy (‘preserved cucumber’) which is rather sweet and vinegary in taste, due to different composition of the preserving solution. It is kept in jars instead of barrels or cans. In Hungary, while regular vinegar-pickled cucumbers (Hungarian: savanyú uborka) are made during most of the year, during the summer kovászos uborka (“leavened pickles”) are made without the use of vinegar. Cucumbers are placed in a glass vessel along with spices (usually dill and garlic), water and salt. Additionally, a slice or two of bread are placed at the top and bottom of the solution, and the container is left to sit in the sun for a few days so the yeast in the bread can help cause a fermentation process. Lime pickles are soaked in lime rather than in a salt brine. This is done more to enhance texture (by making them crisper) rather than as a preservative. The lime is then rinsed off the pickles. Vinegar and sugar are often added after the 24-hour soak in lime, along with pickling spices. Bread-and-butter pickles are sweeter in flavor than dill pickles, having a high concentration of sugar or other sweetener added to the brine. Cucumbers to be made into bread and butters are often sliced before pickling. Kool-Aid pickles or “koolickles”, enjoyed by children in parts of the Southern United States, are created by soaking dill pickles in a mixture of Kool-Aid and pickle brine. Like pickled vegetables such as sauerkraut, sour pickled cucumbers (technically a fruit) are low in calories. They also contain a moderate amount of vitamin K, specifically in the form of K1. One sour pickled cucumber “spear” offers 12–16 µg, or approximately 15–20%, of the Recommended Daily Allowance of vitamin K. It also offers three kilocalories, most of which come from carbohydrate. However, most sour pickled cucumbers are also high in sodium; one spear can contain 350–500 mg, or 15–20% of the American recommended daily limit of 2400 mg. Sweet pickled cucumbers, including bread-and-butter pickles, are higher in calories due to their sugar content; one large gherkin may contain 20-30 calories. However, sweet pickled cucumbers also tend to contain significantly less sodium than sour pickles. Fermented foods have a long history in many cultures. Today, two of the most well-known instances of traditional fermented cabbage side dishes are sauerkraut and Korean kimchi. The Roman writers Cato (in his De Agri Cultura), and Columella (in his De re Rustica), mentioned preserving cabbages and turnips with salt. It is believed to have been introduced to Europe in its present form 1,000 years later by Genghis Khan after invading China. The Tartars took it in their saddlebags to Europe. There it took root mostly in Eastern European and Germanic cuisines, but also in other countries including France, where the name became choucroute. Before frozen foods, refrigeration, and cheap transport from warmer areas became readily available in northern and central Europe, sauerkraut, like other preserved foods, provided a source of nutrients during the winter. James Cook always took a store of sauerkraut on his sea voyages, since experience had taught him it prevented scurvy. Sauerkraut, along with pork, is eaten traditionally in Pennsylvania on New Years Day. The tradition, started by the Pennsylvania Dutch, is thought to bring good luck for the upcoming year. Sauerkraut is made by a process of pickling called lacto-fermentation that is analogous to how traditional (not heat-treated) pickled cucumbers and kimchi are made. The cabbage is finely shredded, layered with salt and left to ferment. Fully cured sauerkraut keeps for several months in an airtight container stored at 15 C (60 F) or below. Neither refrigeration nor pasteurization is required, although these treatments prolong storage life. Fermentation by lactobacilli is introduced naturally, as these air-borne bacteria culture on raw cabbage leaves where they grow. Yeasts also are present, and may yield soft sauerkraut of poor flavor when the fermentation temperature is too high. 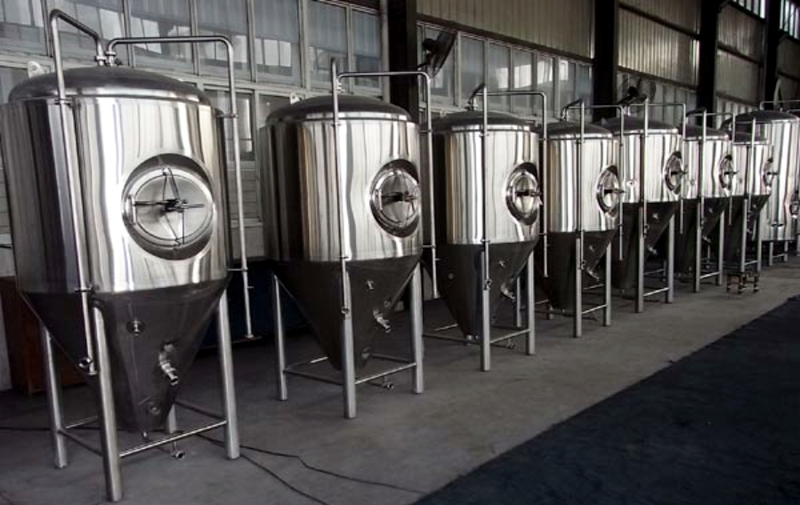 The fermentation process has three phases, collectively sometimes referred to as population dynamics. In the first phase, anaerobic bacteria such as Klebsiella and Enterobacter lead the fermentation, and begin producing an acidic environment that favors later bacteria. The second phase starts as the acid levels become too high for many bacteria, and Leuconostoc mesenteroides and other Leuconostoc spp. take dominance. In the third phase, various Lactobacillus species, including L. brevis and L. plantarum, ferment any remaining sugars, further lowering the pH. Properly cured sauerkraut is sufficiently acidic to prevent a favorable environment for the growth of Clostridium botulinum, the toxins of which cause botulism. A 2004 genomic study found an unexpectedly large diversity of lactic acid bacteria in sauerkraut, and that previous studies had oversimplified this diversity. Weissella was found to be a major organism in the initial, heterofermentative stage, up to day 7. It was also found that Lactobacillus brevis and Pediococcus pentosaceus had smaller population numbers in the first 14 days than previous studies had reported. The Dutch sauerkraut industry found that inoculating a new batch of sauerkraut with an old batch resulted in an excessively sour product. This sourdough process is known as “backslopping” or “inoculum enrichment”; when used in making sauerkraut, first- and second-stage population dynamics, important to developing flavor, are bypassed. This is due primarily to the greater initial activity of species L. plantarum. Many health benefits have been claimed for sauerkraut. It is extremely high in vitamins C, B, and K; the fermentation process increases the bioavailability of nutrients rendering sauerkraut even more nutritious than the original cabbage. It is also low in calories and high in calcium and magnesium, and it is a very good source of dietary fiber, folate, iron, potassium, copper and manganese. If unpasteurized and uncooked, sauerkraut also contains live lactobacilli and beneficial microbes and is rich in enzymes. The fiber and supply of probiotics improve digestion and promote the growth of healthy bowel flora, protecting against many diseases of the digestive tract. Sauerkraut has been used in Europe for centuries to treat stomach ulcers, and its effectiveness for soothing the digestive tract has been well established by numerous studies. During the American Civil War, the physician John Jay Terrell (1829–1922) was able to successfully reduce the death rate among prisoners of war from disease; he attributed this to the practice of feeding his patients raw sauerkraut. Sauerkraut is a time-honored folk remedy for canker sores. It is used by rinsing the mouth with sauerkraut juice for about 30 seconds several times a day, or by placing a wad of sauerkraut against the affected area for a minute or so before chewing and swallowing the kraut. Sauerkraut is high in the antioxidants lutein and zeaxanthin, both associated with preserving ocular health. In order to enjoy optimal health benefits from eating cabbage, one must eat raw, unpasteurized cabbage. Many other vegetables are preserved by a similar process. The olive Olea europaea, meaning “Oil from/of Europe”) is a species of small tree in the family Oleaceae, native to the coastal areas of the eastern Mediterranean Basin as well as the Levant, Palestine, northern Saudi Arabia, northern Iraq, and northern Iran at the south of the Caspian Sea. Its fruit, also called the olive, is of major agricultural importance in the Mediterranean region as the source of olive oil. The tree and its fruit give its name to the plant family. The word “oil” in multiple languages ultimately derives from the name of this tree and its fruit. 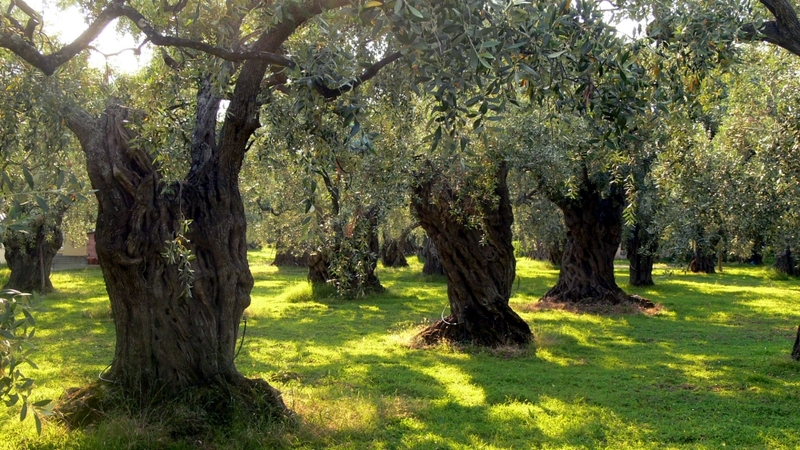 There are hundreds of cultivars of the olive tree ( Olea europaea). An olive’s cultivar has a significant impact on its color, size, shape, and growth characteristics, as well as the qualities of olive oil. 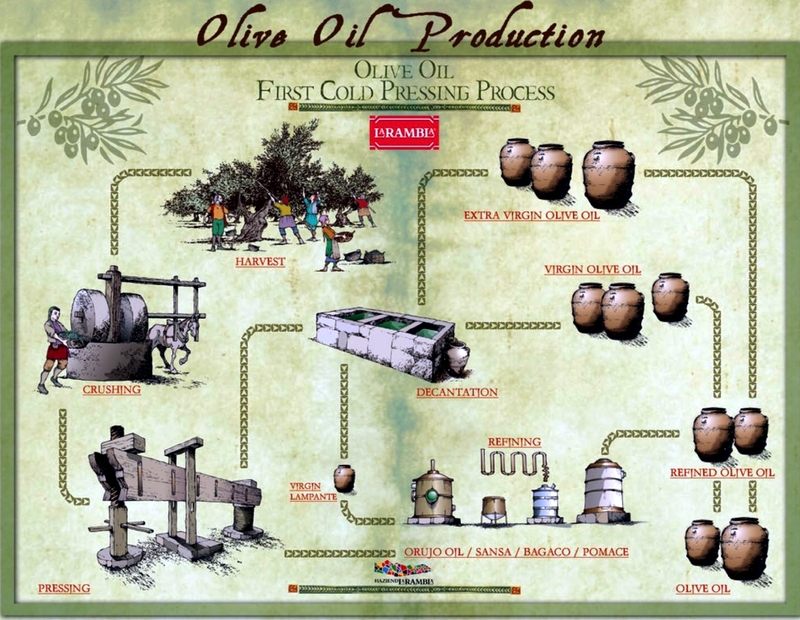 Olive cultivars may be used primarily for oil, eating, or both. Olives for consumption are generally referred to as “table olives”.Since many olive cultivars are self-sterile or nearly so, they are generally planted in pairs with a single primary cultivar and a secondary cultivar selected for its ability to fertilize the primary one. In recent times, efforts have been directed at producing hybrid cultivars with qualities such as resistance to disease, quick growth and larger or more consistent crops. The edible olive has been cultivated for at least 5,000 to 6,000 years, with the most ancient evidence of olive cultivation having been found in Syria, Palestine and Crete. The olive tree is native to the Mediterranean region and Western Asia, and spread to nearby countries from there. 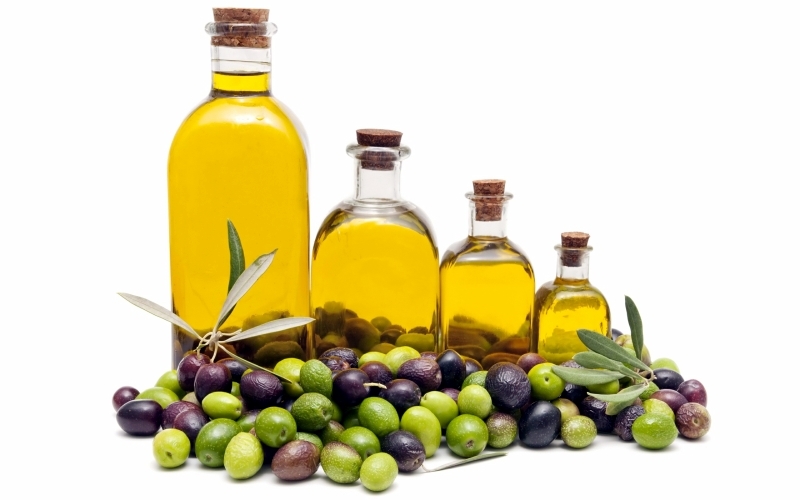 Olive oil has long been considered sacred; it was used to anoint kings and athletes in ancient Greece. It was burnt in the sacred lamps of temples as well as being the “eternal flame” of the original Olympic Games. Victors in these games were crowned with its leaves. Today, it is still used in many religious ceremonies. Over the years, the olive has been the symbol of peace, wisdom, glory, fertility, power and purity. The olive tree and olives are mentioned over 30 times in the Bible, in both the New and Old Testaments. It is one of the first plants mentioned in the Bible, and one of the most significant. Olives are not native to the Americas. The Spanish colonists brought the olive to the New World where its cultivation prospered in present-day Peru and Chile. The first precious seedlings from Spain were planted in Lima by Antonio de Rivera in 1560. 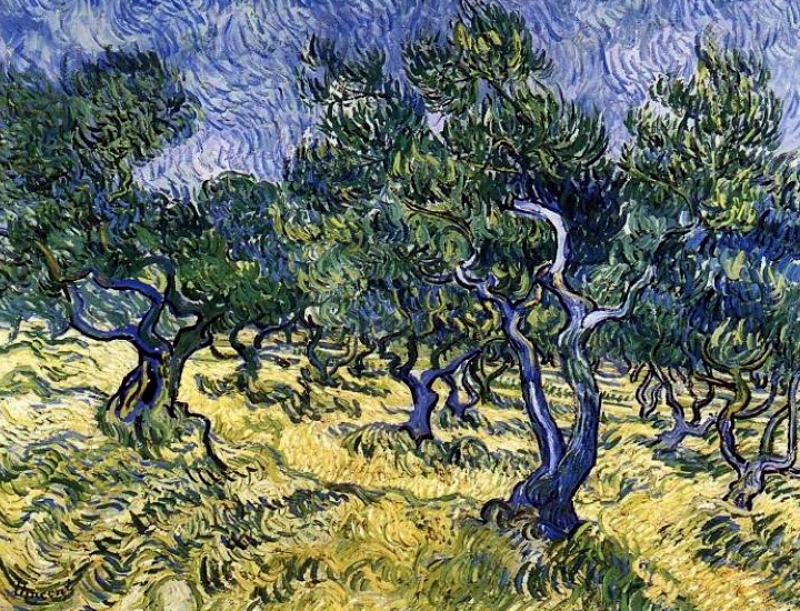 Olive tree cultivation quickly spread along the valleys of South America’s dry Pacific coast where the climate was similar to the Mediterranean. The Spanish missionaries established the tree in the 18th century in California. It was first cultivated at Mission San Diego de Alcalá in 1769 or later around 1795. Orchards were started at other missions but in 1838 an inspection found only two olive orchards in California. Oil tree cultivation gradually became a highly successful commercial venture from the 1860s onwards. In Japan the first successful planting of olive trees happened in 1908 on Shodo Island which became the cradle of olive cultivation. It is estimated that there are about 865 million olive trees in the world today (as of 2005), and the vast majority of these are found in Mediterranean countries, although traditionally marginal areas account for no more than 25% of olive planted area and 10% of oil production. Raw or fresh olives are naturally very bitter; to make them palatable, olives must be fermented or cured with lye, brine or packed in salt to remove oleuropein, a bitter glycloside. The curing process may take from a few days, with lye, to a few months with brine or salt packing. Curing can employ lye, salt, brine, or fresh water. Salt cured olives (also known as dry cured) are packed in plain salt for at least a month, which produces a salty and wrinkled olive. Brine cured olives are kept in a salt water solution of a ratio of about 10% salt for at least ten days until the natural bitterness is lessened sufficiently to make the olives palatable. Fresh water cured olives are soaked in a succession of baths, changed daily. Lye-cured olives are soaked in a lye solution which quickly removes the bitter compounds and produces a mild-tasting olive. Sometimes, the olives are lightly cracked to allow faster brining and fermentation process. After the initial curing process, olives (except for salt-cured) are packed in a brine, which will give them their characteristic saltiness and flavor. Green olives are usually firmer than black olives. Green olives are allowed to ferment before being packed in a brine solution. 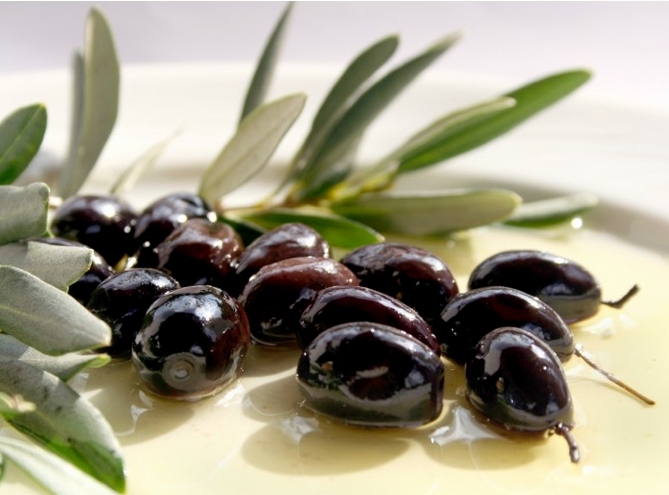 American black (“California”) olives are not fermented, which is why they taste milder than green olives. Olives can also be flavored by soaking in a marinade or pitted and stuffed. Popular flavorings include herbs, spices, olive oil, chili, garlic, all spice berries, lemon zest, lemon juice, wine, vinegar, and juniper berries; popular stuffings include feta cheese, blue cheese, pimento, garlic cloves, jalapeños, almonds, and anchovies. Olives are one of the most extensively cultivated fruit crops in the world. In 2011 there were about 9.6 million hectares planted with olive trees, which is more than twice the amount of land devoted to apples, bananas or mangoes. Only coconut trees and oil palms command more space. Cultivation area tripled from 2,600,000 to 7,950,000 hectares (6,400,000 to 19,600,000 acres) between 1960 and 1998 and reached a 10 million ha peak in 2008. 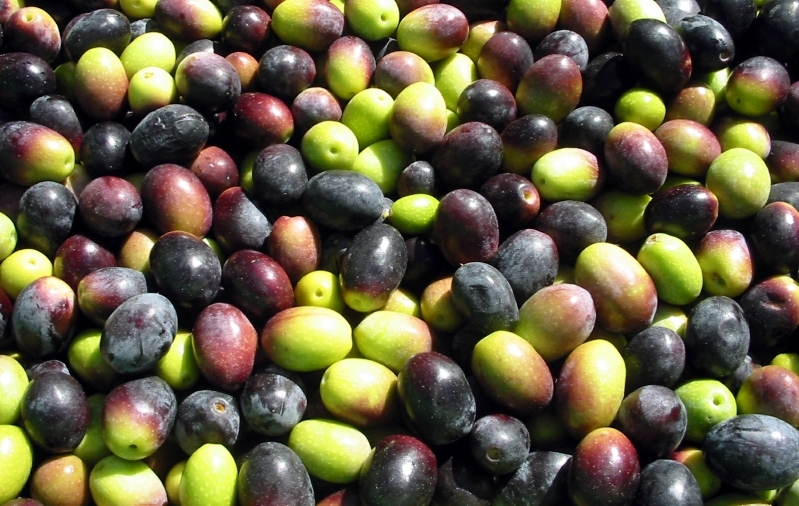 The ten largest producing countries, according to the Food and Agriculture Organization, are all located in the Mediterranean region and produce 95% of the world’s olives.